Shastri said Rayudu's innings eased his worries to an extent and his unorthodox style of batting can be an X factor for the team. New Delhi: India coach Ravi Shastri is mulling to send skipper Virat Kohli to bat at No. 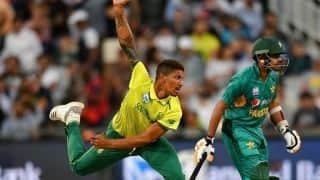 4 to protect him in bowling-friendly conditions during the ICC World Cup 2019 in England. Shastri said Kohli at number 4 can make the batting unit more stronger. “The good thing about this Indian top-three is we can separate them, if conditions and situations demand. 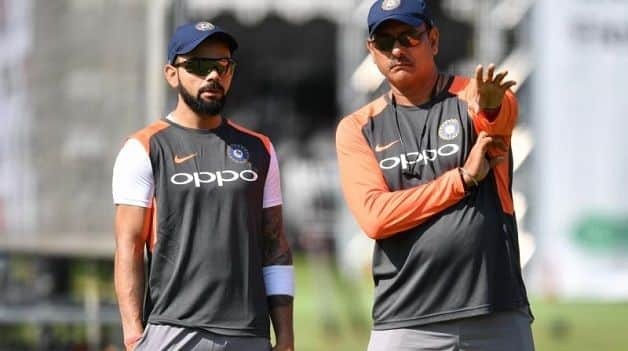 Someone like Virat Kohli can go to number four, and we can put a good number three to bring more balance to the batting line-up,” Shastri told Cricbuzz in an interview. Shastri said Rayudu’s innings eased his worries to an extent and his unorthodox style of batting can be an X factor for the team. “The one quality Rayudu has, he can be very unorthodox. 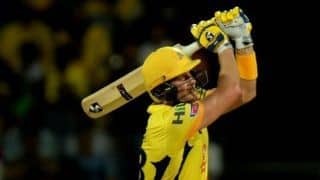 With the way he bats, he can be an x-factor for us. He will play shots that are unconventional at times, but they can be very effective,” he said.